Loss Aversion, Confidence, and Bandwagon are few of the biases we possess. As part of our writing on systematic investing, which started with an earlier article titled Active Management Loses Ground, we continue with a look at Investors Biases. 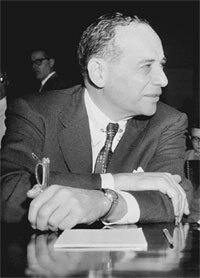 Humans are not rational investors, the kind that play a central role in the Efficient Markets Hypothesis of Nobel laureate Eugene Fama. Normal human brains develop biases, and these biases have been developed over the period of our evolution. Making rational investment decisions were not really a priority on the plains of Africa as the human species evolved a few million years ago. But surviving the day from the lions and other threats was a priority, and instincts and biases became imprinted on our mind, in place of rational analysis, to boost our survival chance. So biases are the mental short-cuts, important to speed up our thinking and reduce cognitive load, and often times our biases save us time and energy. Along with the natural cognitive biases, we are also influenced by the pool of emotions and experiences accumulated over our lifetime, which create certain proclivities in our thinking. We lean on these tendencies and preferences to aid our decisions and judgments, and that can at times create situations of irrational decision-making and behavior that is not always rooted in facts, logic and reason. All these cognitive and emotional tendencies are collectively referred to as behavioral biases. These are the subjective elements of our decision-making, the ones which we possess by default for we are humans. Now, as we realize, biases are not all bad. But there are times when our inclinations can result in irrational or unproductive decisions. Investing is one area where behavioral biases can significantly hurt our investment returns. Biases can seduce us and interfere with optimal judgment. Investors can enhance the portfolio performance by becoming aware of these biases and avoiding them to arrive at more objective and rational decisions. This is easier said than done, and behavioral bias is an issue that affects everyone from individual investors, to traders with multi-million dollar positions for banks, to portfolio managers responsible for investing billions of dollars. The literature surrounding behavioral investing is immense. In this and next article, we will discuss few of the key investing biases that investors should be aware of as they manage their portfolios. Investing is a difficult process to begin with, and is made more complex by our own personal biases and emotions. Our tendencies to think in a certain way is our cognitive bias that can lead to ongoing deviations from good judgment. An example of a Cognitive bias can be when a growth-focused investment portfolio avoids Biotechnology or Technology sectors for they are considered volatile, even when a risk-adjusted performance evaluation of these sectors may be offering a compelling case for investment. Loss Aversion Bias. Ever felt the relentless pressure of a losing position, but an inability to take the loss. This is an example of an emotional bias, generally referred to as the Loss Aversion Bias. As long as we don't sell, we're not taking the loss. And that keeps us in a losing position leading to growing losses. Research has revealed that our desire to avoid a loss can be so intense that an investor will be willing to take on even more risk with the hope of eventually avoiding such a loss by taking on new positions and attempting to average-down their cost-basis. It's an insidious bias affecting most investors and can have long-term adverse effects on the portfolio. It's a hard bias to overcome and professional investors have to be constantly on guard with this creeping bias. Behavioral economists also refer to it as the regret bias, since we engage in illogical and risky behavior to avoid the feeling of regret of being wrong and incur a loss. This is a hard bias to overcome. Just read the community investment boards when stocks are sliding down, to realize the grip of this tendency on investor behavior. The bias can be managed by maintaining strict investing and trading rules, and preserving objectivity. Confidence Bias. Investors have a tendency to be overconfident in their own abilities. A few short-term successful trades can entrench such a perception, and cloud our judgment. It's very easy to overestimate our analytical abilities. Victor Ricciardi, a Behavioral Finance Professor and Editor of journals of the Social Science Research Network, has observed in research that investors do tend to overestimate their skills and predictions. It is harder for an individual investor to have superior access to information and analytical resources than a full-time professional investor, and even professional investors struggle to beat the benchmark indexes. But overconfident behavior in investing is common, and leads to short-term excessive trading and poor record of investment returns over long-term. Interestingly, this tendency to be overconfident is exhibited more in males. In a research paper titled "Boys Will Be Boys: Gender, Overconfidence, and Common Stock Investment," published in the Quarterly Journal of Economics by University of Berkeley professors Brad Barber and Terrance Odean, it was revealed that based on their research of a sample of 35,000 individual accounts over a six-year period, males are not only more overconfident when it comes to their investing skills, but they're also more short-term oriented and more trading-intensive. To add further insult to the male investor pride, all this trading revealed that they also tend to sell their stocks at an inopportune time for higher total trading costs including tax implications. Women are more amenable to a buy-and-hold approach. As we can see, there is a Gender Bias as well when it comes to investing. The overall bottom-line was that the more active the investor, the less money they made. The bias can be managed by recognizing that we compete in the market against well-informed professional investors. Trade less and invest more, resisting the urge to believe that this time your intuition or information is superior to others in the market. Bandwagon Effect or Herding Bias. We gravitate towards group-think. Humans have a very strong desire to be part of a herd. During the early years of evolution, that ensured survival on the wild plains. Even now, social-based community opinion guides us in our thinking and spending decisions. 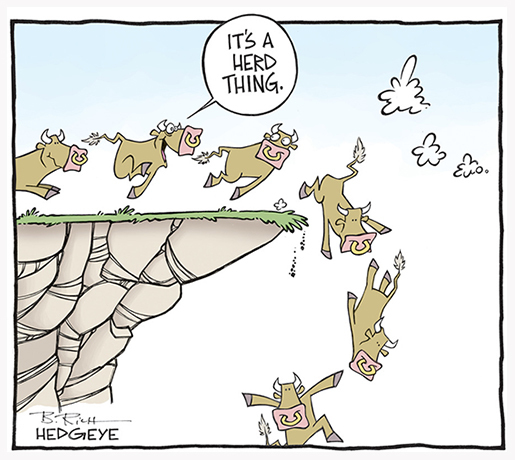 However, the herd or group mentality doesn't always lead to rational decisions in investing. Perhaps Warren Buffett had this bias in mind when he advised to be greedy when others are fearful and fearful when others are greedy. Overcoming this bias is quite hard. There is comfort in numbers. Even when we are losing, it's hard to abandon the consensus. However, recognizing that each investor has unique financial objectives is a way to avoid taking the easy way of following the crowd. Going with the flow begins to subdue our own analytical thinking. One can fight this bias by limiting the exposure towards crowd-sourced ideas to a smaller portion of the portfolio. If things work out, that's great. But if not, it won't cripple the portfolio. 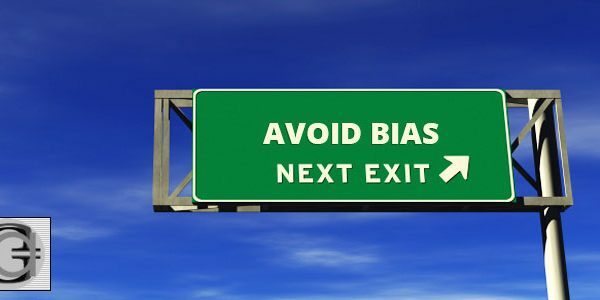 In a closing article on Bias, we will discuss additional biases that affect investor performance and how we can control them to improve performance. Eventually, we all want the investment performance of the top stocks. Who doesn't desire the returns that Amazon (NASDAQ:AMZN), Facebook (NASDAQ:FB), Microsoft (NASDAQ:MSFT), Google (NASDAQ:GOOG), Netflix (NASDAQ:NFLX), Amgen (NASDAQ:AMGN), Biogen (NASDAQ:BIIB), Intel (NASDAQ:INTC), Adobe (ADB), Oracle (NASDAQ:ORCL), Priceline (NASDAQ:PCLN), Netease (NASDAQ:NTES), and Home Depot (NYSE:HD), amongst many others, have generated over the years. The Nasdaq (NASDAQ:QQQ) and S&P 500 (NYSEARCA:SPY) are at all-time highs as a result of opportunities being presented by individual stocks. Achieving our investment return objective is a function of both investor's analytical work, as well as the management of typical investor biases.